Key Senate crossbenchers say they remain opposed to the deregulation of university fees even if the Abbott government reduces, or scraps entirely, a planned 20 per cent cut to university funding. Independent senator Nick Xenophon said the government’s higher education reforms were in “a whole lot of trouble” while the Palmer United Party’s Glenn Lazarus called on the government to abandon its policies and “move on”. The government’s higher education package was originally designed to save the budget $4 billion over four years, but if the 20 per cent cut is scrapped it would instead cost an estimated $1.3 billion over the same period. Universities have strongly opposed the 20 per cent cut and said that it would force the increase of fees under a deregulated system. Education Minister Christopher Pyne on Wednesday said that the government was open to reducing the funding cut if necessary to win Senate support for fee deregulation. “We haven’t said that we will necessarily not go ahead with the savings measures in higher education but they are part of our negotiations with the crossbenchers because deregulation is vitally important,” Mr Pyne told ABC radio in Adelaide. The $4 billion saving figure for the reforms was reduced to $640 million in December following concessions to Senate crossbenchers. Scrapping the funding cut altogether would reduce the savings by a further $1.9 billion over four years. The reforms include the expansion of federal funding to private colleges, TAFES and sub-bachelor degree programs at a cost of $820 million. Prime Minister Tony Abbott said on Tuesday that the government would put higher education “front and centre” of the government’s agenda when Parliament resumes in February. But Senate crossbenchers said they remain opposed to allowing universities to set their own fees. “The government, I think, needs to step back, have a considered approach to this because right now their package is in a whole lot of trouble,” Independent senator Nick Xenophon said. Senator Xenophon said he would support an interim increase in the amount universities can charge as long as the government commits to a comprehensive review of the university system. PUP Senate leader Glenn Lazarus, who last month mocked Mr Pyne for “embarrassing himself” by inundating the crossbench senator with text messages, stood by his decision to oppose deregulation. “Palmer United is firm. We will not allow the Abbott government to increase the cost of HECS and the cost of university degrees,” he said. “The Abbott government tried to cut funding to the higher education system last year simply to save a few bucks and Australia said no, through their state Senate representatives. “I along with my Palmer United colleague, Senator Wang, and other senators voted against the Abbott government’s nasty higher education measures. Palmer United Party senator Zhenya Wang supports fee deregulation but has said he would vote with his colleagues, Senator Lazarus and Clive Palmer, who oppose it. 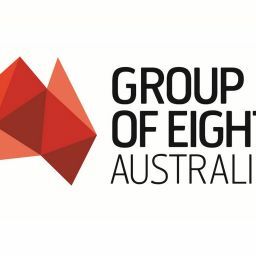 The government needs the support of six of the eight Senate crossbenchers to pass its reforms. Vicki Thomson, chief executive of the Group of Eight universities, welcomed the government’s willingness to scale back the planned funding cut. Ms Thomson urged the Palmer United Party to continue negotiations, saying its preferred policy of free higher education was unrealistic and “elitist”. “It’s not as simple as saying, ‘Move on’. Move on to what? A continued erosion of funding? The sector is underfunded and has been by both sides of politics. Deputy chief executive of Universities Australia Anne-Marie Lansdown said: “If the negotiations can scale back the $1.9 billion cut, it would be a very positive step, one that goes directly to the issue of addressing fairness and affordability for students and parents.